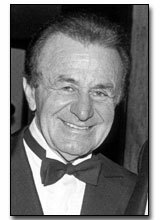 Prominent Los Angeles-area builder who played a serious role in the early 50’s-60’s Jewish community sports scene. Konheim was responsible for getting Hank Greenberg and Sandy Koufax to publicly support the 1965 Maccabiah Games in greater L.A., and Konheim was responsible for securing funding for all So. Cal. atheltes for the 1961 and 1965 Games.